API honors parents and caregivers as the ultimate peacemakers. 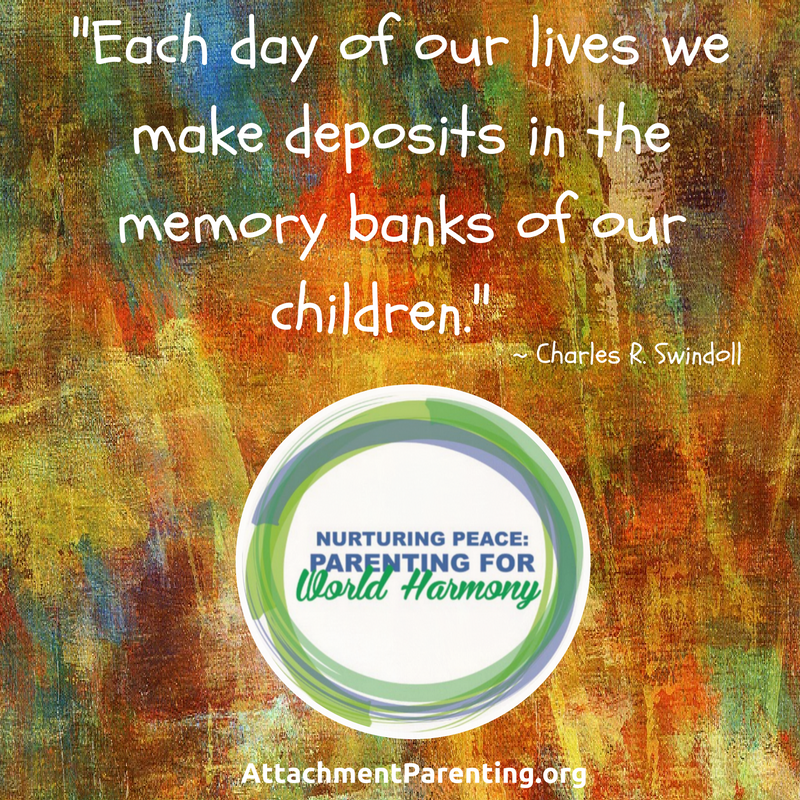 We aim to support parents in peaceful and harmonious impulses, so they might be reflected in future global conditions. 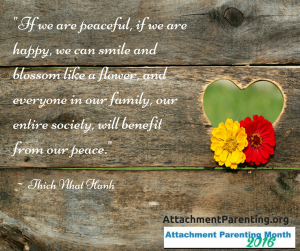 Peace and harmony can seem like a distant goal when technology constantly broadcasts world news to our wrist, the palm of our hands, our lap, or desk. 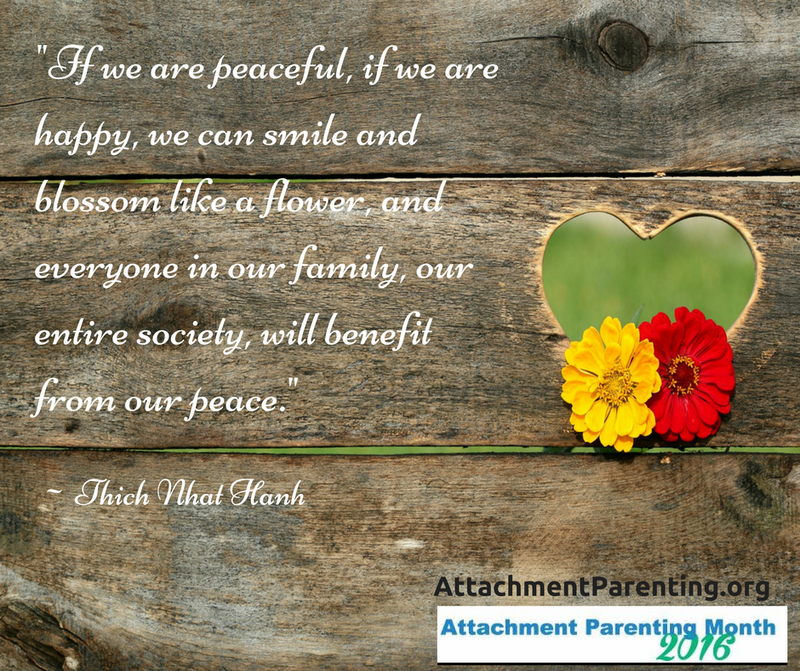 Unprecedented access to the people, places, and events around the world is both wonderful and the cumulative stresses can silently build up and weigh on us without our awareness. The relentless news cycle features conflict with rarely a hopeful note. Loud discord streams continuously and is a pervasive presence in our social lives. Conflict and outrage are regularly stirred in this reactionary stew where micro-aggression, triggers, and general incivility feel like inescapable behavioral norms. Our success as a species is based on our social dependency, which in turn ensures that conflicts are a regular feature of our lives. It’s impossible to live with so many different fellow humans and avoid conflict. The advent of instant access to everything has shifted the ground under our feet. The frequency and degree of our exposure to violence has increased dramatically in just a few years. A cultural acceptance of violence and, in some cases, even glorification of it can have the effect of acceptance. It’s not that we like it necessarily: It’s just that it’s our new normal. 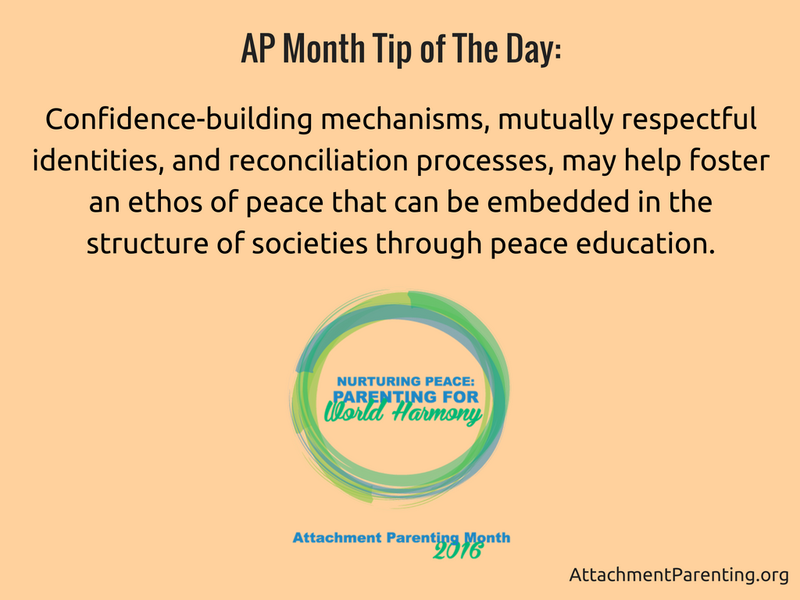 This October, during AP Month, we’re working to surround parents in peace and harmony. 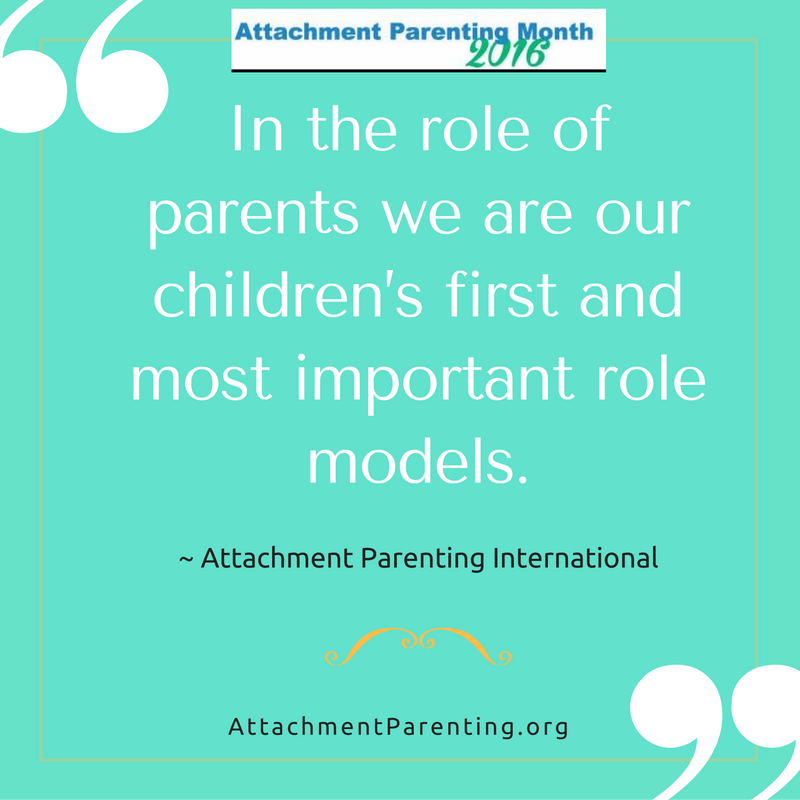 We aim to support parents in building family lives and parent-child relationships that are as peaceful and harmonious as possible. 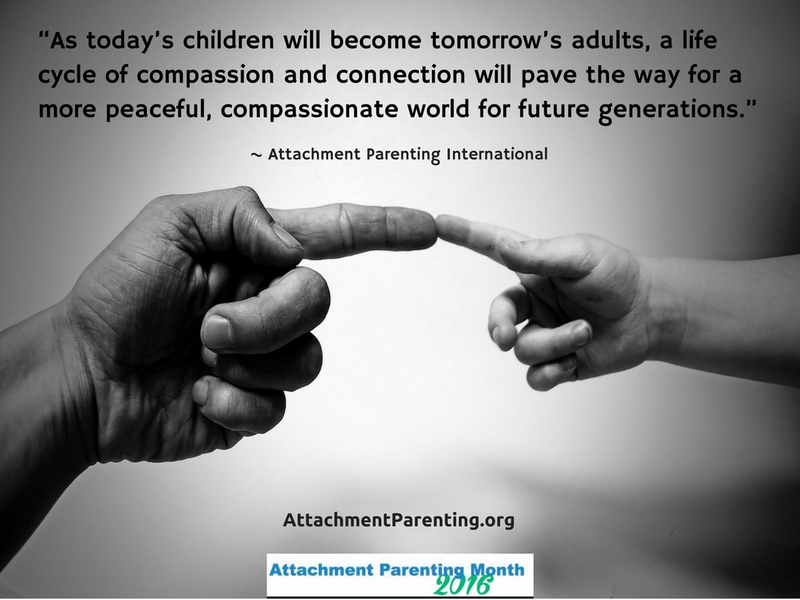 We’ll discover ways to cope and counterbalance the effects of negativity and uplift and honor the positive, hopeful, loving, and secure aspects of our world. 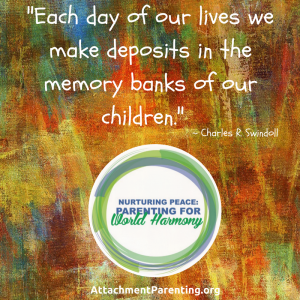 Parenting toddlers who refuse to eat or sleep or (fill in the blank) seem a far cry from world peace and harmony, but we invite you to examine and explore the connections. 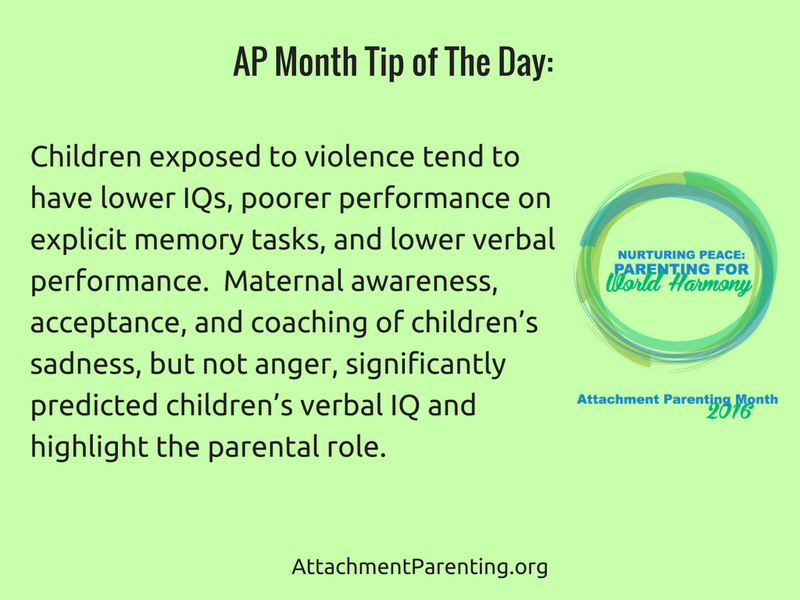 It may not feel like it in any given moment, but cumulative parent-child interactions become an influence for good that is greater than a collection of moments when we managed to get out the door on time. 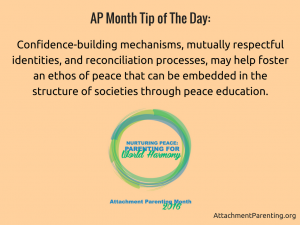 These days, when we have to work a little harder to surround ourselves with sustaining goodness, API helps parents tip the balance. If violence containment spending were represented as a discrete industry, it would be the largest industry in the U.S. economy — larger than construction, real estate, professional services, or manufacturing. If violence containment spending were represented as a discrete national economic entity, it would be the 7th-largest economy in the world — only slightly smaller than the UK economy. Violence containment spending is 4 times higher than the national defense budget. Public sector spending on violence containment spending accounts for 10.8% of GDP while private sector spending is 4.2% of GDP. If U.S. federal violence containment spending was reduced by 5% each year for 5 years, the $326 billion saved funds would be sufficient to entirely update the energy grid, rebuild all levies, and renew the nation’s school infrastructure. Domestic violence is a reality for many families and children and many dedicated professionals work to change this. 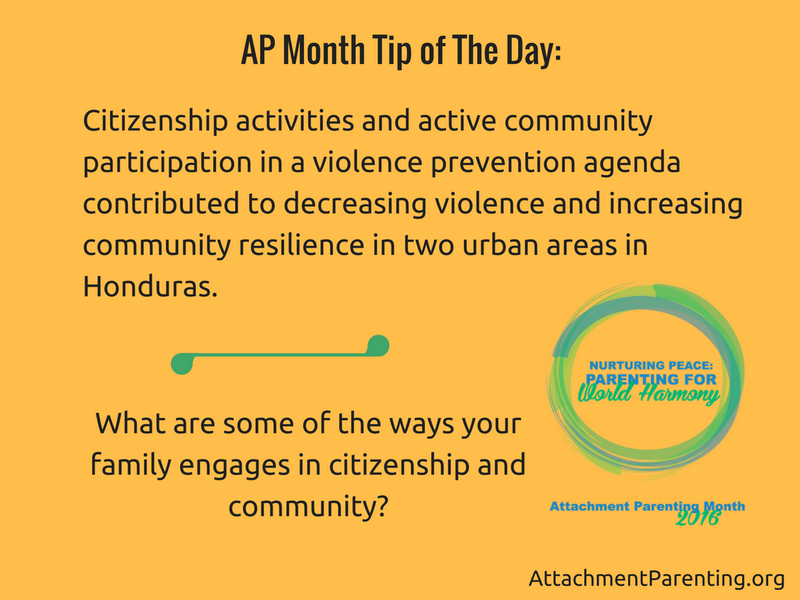 The more support we build for families and communities in peace, the less prevalent intimate violence will be over time. 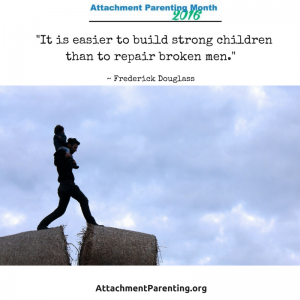 More than 5 million children are exposed to physical domestic violence each year. 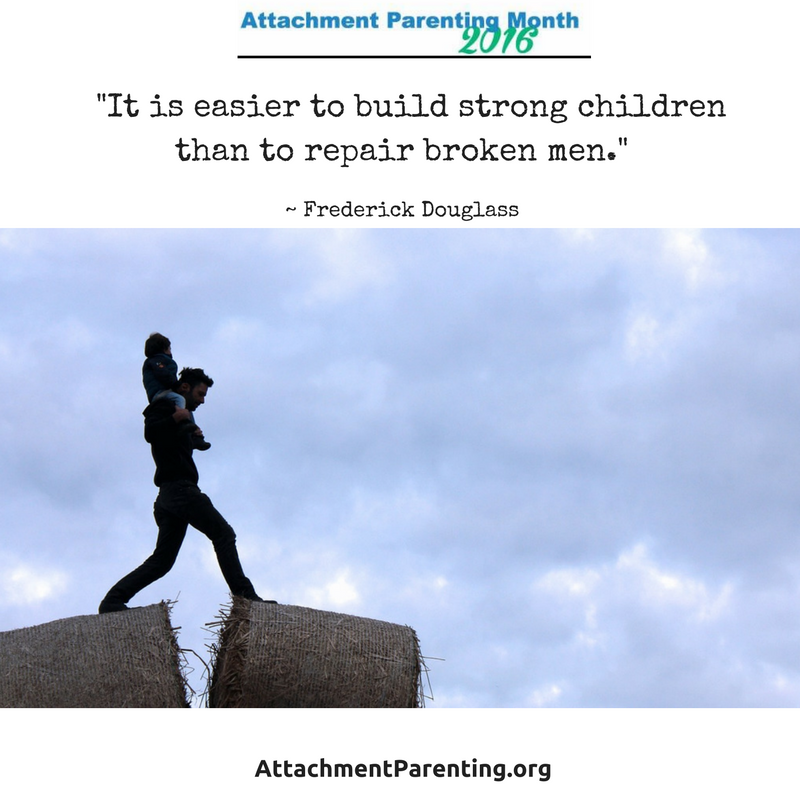 We know from the ACE study that for 95% of children exposed to domestic violence, there is also substance abuse, mental illness, neglect, abuse, or incarceration within their home. 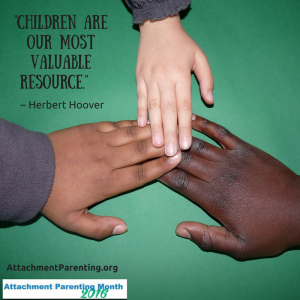 Statistically, we will all come into contact with children who are exposed to domestic abuse. 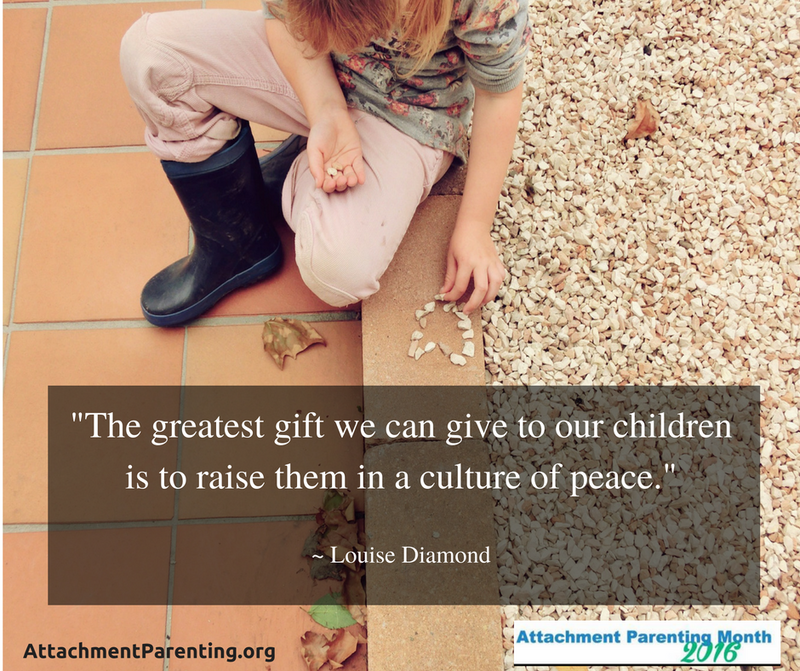 As adults, we need to counteract the lesson of domestic violence with kindness, empathy, trust, and compassion. 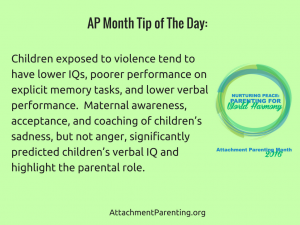 Just as we don’t expect children to know math before we teach them math, we need to help children develop healthy skills, such as conflict resolution, problem solving, emotion regulation, and calming strategies. 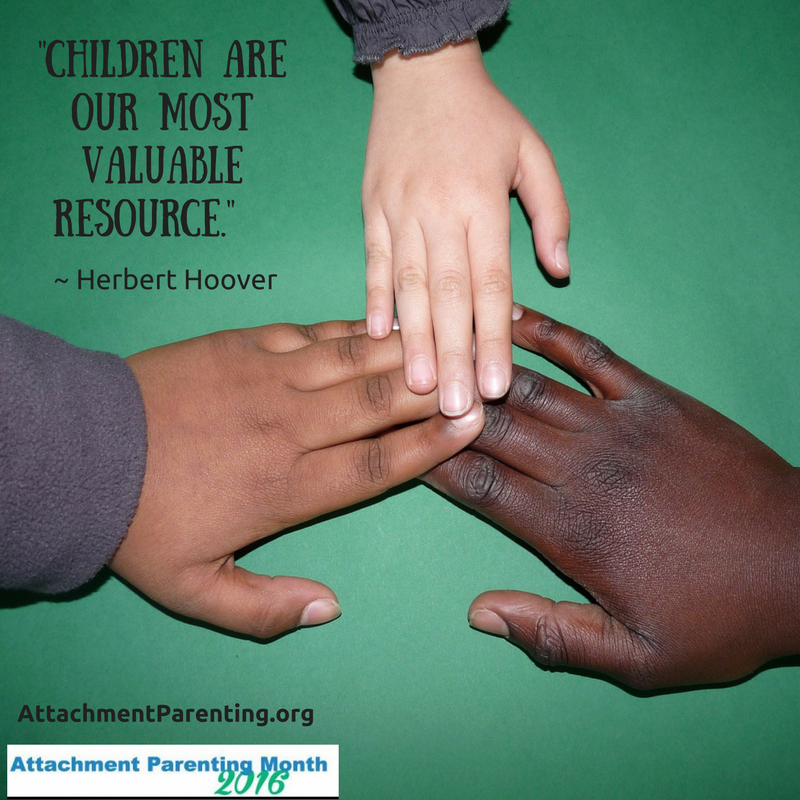 Most importantly, we need to model and encourage healthy relationships. 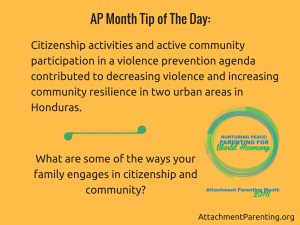 Read the AP Month 2016 Research Paper in its entirety, including links to specific studies, on AP Month Central. 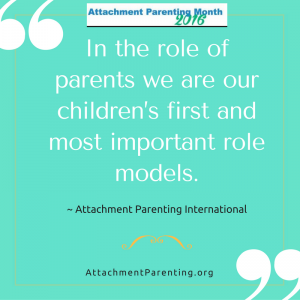 Art Yuen is the KnowledgeBase Coordinator for Attachment Parenting International (API), a member of API's Board of Directors, and an API Leader with API-NYC in New York City, USA, where she lives with her 2 children and husband.